Rev. 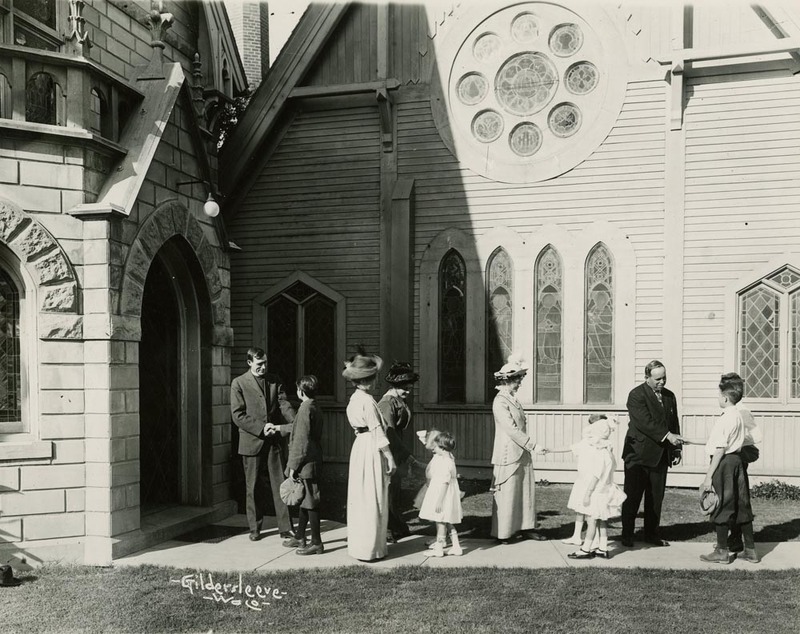 William Postel Witsell greets parishioners in front of the parish house. It was common for the rector to meet with congregation members before and after the service in order to foster a sense of spiritual community.